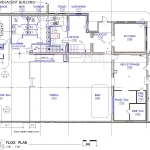 Master Planning, Architectural Design, & Feasibility Studies. We specialize in architectural design for Church-Related Ministries, Educational Institutions, and Commercial Designs/Remodels. 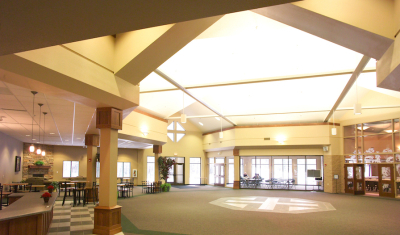 • A large-scale project for Woodlands Church in Plover, which started as a new relocation in 1998 and then continued into phase 2 in 2004 for a 350-seat chapel space, classrooms, youth and lobby addition. Rod will assist your congregation in the planning process addressing the organizational challenges and helping to unify the congregation around a shared vision of ministry and facility. • A neighborhood project in Northeast Minneapolis that included Head Start classrooms, a multi-purpose room, kitchen and support. Also a small neighborhood clinic. 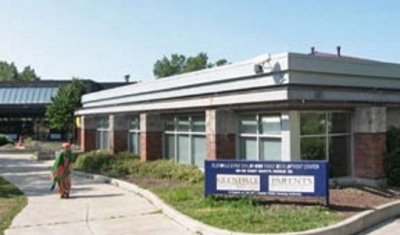 • Another Head Start facility in the Glendale Community in Minneapolis with classrooms, multi-purpose room, administration and a neighborhood food shelf and laundramat. • A stand alone child care facility for the Rochester Community College. • More recently we did a remodeling project for a Head Start classroom for the Merrill WI Area Public Schools. • Various small projects for the Merrill Area Public Schools, classroom remodelings, facility studies, office remodelings. 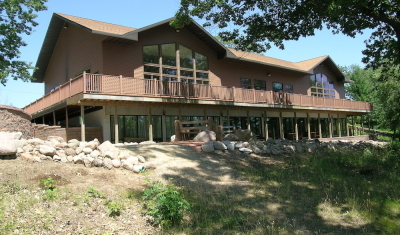 • A new Cordwood Education Building for the Merrill School District School Forest, for classroom education and warming while during class field trips to the school forest. • Various projects for the Rhinelander WI School District, classroom remodelings, administration remodeling, planning and a new athletic field press box. • A new addition to the Rhinelander School District School Forest building for new classrooms, a larger lobby, handicap toilet facilities and lots of storage. • Most recently Rod Cox assisted a previous employer, SSV Architecture in Minneapolis, with the Head Start Education and Training Center Remodeling project for meeting rooms, classroom, dining/kitchen facilities and administration. • Numerous educational facilities for churches that include, nurseries, child classrooms, youth rooms and adult classrooms. 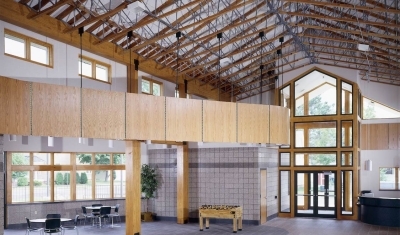 • Rod was also project architect for the Goddard Library remodeling project at the Rochester Community College, in Rochester, MN. • Preliminary design was completed for a new high school football program, meeting/stroage facility that also inclded a coaches office and training room. 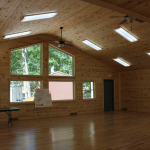 • A new restroom shelter building for the Willow River State Park in Hudson, Wisconsin. 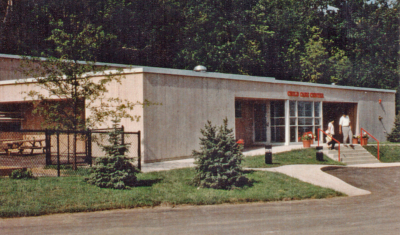 • We redesigned the entrance to the public safety building for Lincoln County in Merrill, WI. The existing entrance was accessed by exterior ramps which was a maintenance headache. The new entrance included an on grade entry with interior ramp and stair and blended better with the original building design. 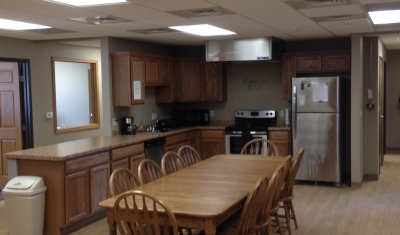 • We completed a buildout of a previous unfinished space for Surgical Associates in Wausau, WI. The new space provided a new procedure room, nurse’s station, exam rooms, toilet/changing area and strorage. 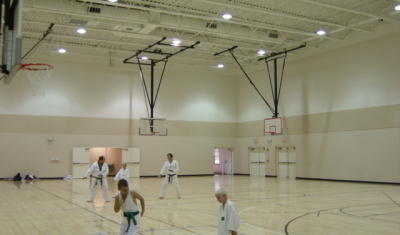 • The Boys and Girls Club in Wausau is a new facility that has an open central games area, classrooms, administration, full size gym, kitchen, and a lower level skate board park. • A 6,500 SF phase on office/retail building with a possible Branch Bank. • Façade remodelling of an existing vacant strip mall and for new tenants that include a shoe store, offices, physical therapy office. • Becca’s Café was a two phase project. Phase one consisted of completing a vacant space for a new café restaurant and phase two involved adding a new balcony space to expand the seating capacity. As coordinator of Project 200 of St John Church of Antigo I want to express my thanks and appreciation to you for directing our $960,000 church addition. 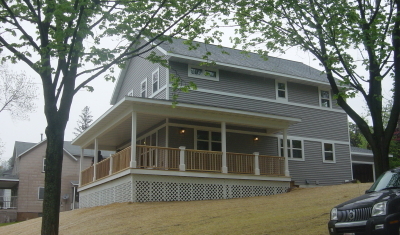 Your professionalism in making sure the addition would complement the existing church and property drew our group together allowing a consensus decision to be easily made. The structure is very attractive and fits in, so it looks like it was done with the original church. It is functional and the needs of the congregation have been met for the foreseeable future. working with a diverse committee is not always easy. Your suggestions and desired plan recommendation led us to an acceptable consensus on a difficult project of which we are all proud. Thanks for your architectural and people skills. I Really enjoy working with you and any chance I get to refer you I would never hesitate to do so. architect in Wisconsin, Minnesota and Michigan. many years and then relocated to central Wisconsin in 1998.
office and formed Cox & Associates.